The department of Economic Criminal Law is composed of a team of highly qualified lawyers and accredited forensic experience, with expertise in the personalised defence of the interests of our clients. Our activity is developed before all the judiciary bodies and we take part in the criminal proceedings of corporate crimes of great legal standing. As a result we can offer clients personalised advice, study and the implementation of supervision and control of corporate compliance to prevent, reduce or exempt the criminal responsibility of legal persons. We support companies in the implementation of protocols for the proper control and prevention of corporate crimes, and help in the training of staff and those responsible for internal control, also providing the cooperation necessary for an appropriate regular monitoring of the established control mechanisms. 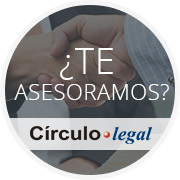 At Círculo Legal we are proud of who we are and to be part of a non-profit group comprised of professionals and organisations in the form of the World Compliance Association. We also rely on CUMPLIPYME a specific product designed by our specialists and adapted for those small and medium-sized companies who want to implement the compliance programme but do not have as many resources as multinational companies. Legal assistance in crimes that affect the patrimony and socio-economic order, documentation misrepresentations, crimes against the Public Administration and against the Justice Administration, among others. Development of expert opinions for cases related to complex financial crimes. Consultation service and Prevention of money laundering and financing of terrorism. Programme design and customised guides on the prevention of money laundering. Support and legal assistance conducted by SEPBLAC and in the administrative or judicial procedures arising from it. Planning and assessment for Programmes of the Prevention of Criminal Risk for legal entities (Corporate Compliance), training support and client support so that your company finds legal cover in the event of any criminal charge.